Despite BSAR’s efforts to get the word out about the dangers of early season winter travel on the River, the word never reaches everyone and there’s some that don’t listen anyway. On December 1st a snow machine with one adult and two children on board drove into the open hole at the lower end of Straight Slough. We are very thankful that all three made it out of the water. The snow machine was lost. BSAR will be working over the next few days to get this very dangerous area marked. Volunteers are needed. Please help us get the word out: Travelers must avoid Straight Slough. Traffic above Bethel should use the trail around Joe Pete’s Bend to Church Slough. Also with truck traffic opening up on the River, BSAR did some additional ice measuring along the route from Bethel to Napaskiak. 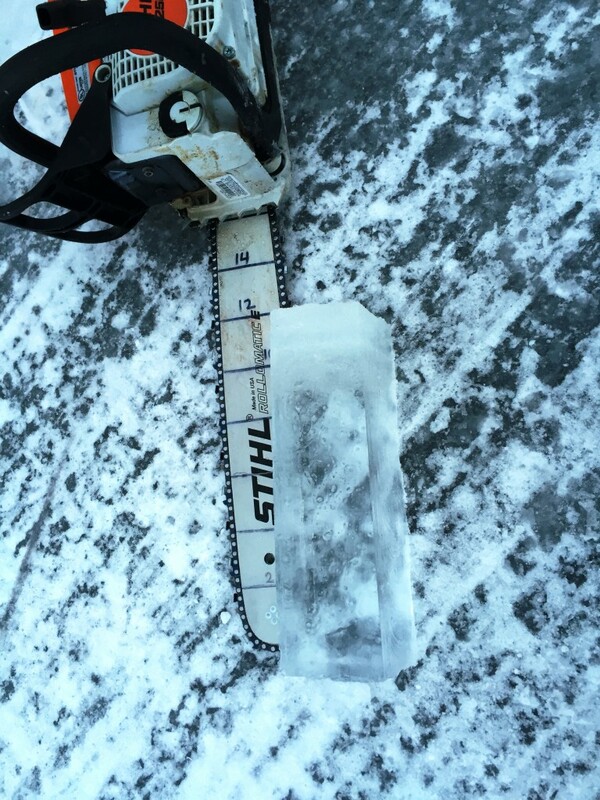 Ice thickness was consistently 10″ – 12″ thick. The top 2″ is snow ice which has less strength than good clear ice. This thickness is considered marginal for trucks by experienced travelers. You can get away with it but please travel with extreme caution. *Please note that this report is not an advisory that it is safe to travel. It is for informational purposes only. Bethel Search & Rescue (BSAR) is located in Bethel, Alaska. BSAR conducts search and rescue missions in Bethel and the surrounding villages in coordination with the Alaska State Troopers, Bethel Police, Village Public Safety Officers, and other SAR teams from area villages. 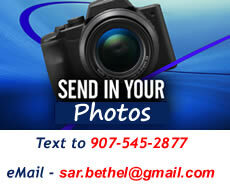 To report a missing person in the Bethel region, call 911 or (907)545-HELP. File a Trip Plan BEFORE You Go! Make it easy on those out looking for you! File a Trip Plan! Bethel Search and Rescue is a 501(c)(3) non-profit that operates on the support of the people and organizations in the Yukon-Kuskokwim Delta region and beyond. By supporting BSAR, supporters become partners in SAR missions. Each supporter should know that when a SAR mission is completed or successful, they have made it possible to find lost victims. Many thanks to all of our supporters, both individuals and businesses. 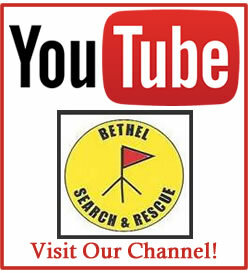 Bethel Search and Rescue | Powered by Mantra & WordPress.